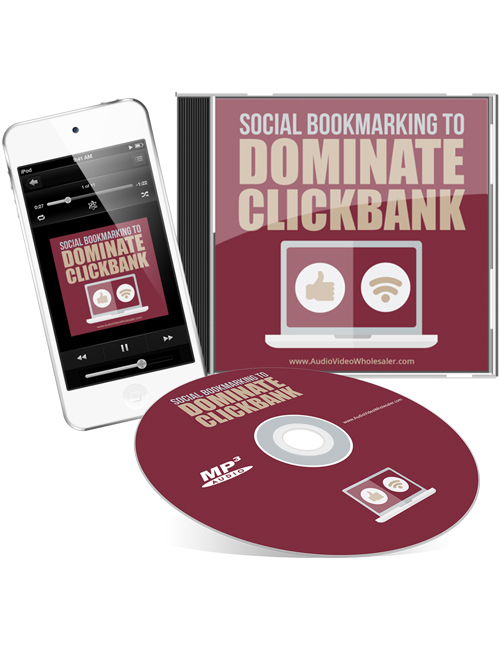 Social Bookmarking To Dominate Clickbank is a 4 part audio that goes into the nitty gritty of social bookmarking and how it can be utilized to make money through one of the largest digital products marketplaces in the world, Clickbank. Social bookmarking, if you’re not familiar with it, is when people like or share interesting products, articles or pieces of content on a site. For example, as you’re viewing this product, you will notice four social media buttons above. If you hit any of those buttons, you’ll have an option to share or like or recommend the product to others. These bookmarks are public and others who are browsing the same pages will see these likes and shares and recommendations. It’s a very powerful method when you know how to use it. This audio explains it all in detail. Even better, it involves Clickbank where people are making and spending tens of thousands of dollars. When you’re ready, hit the download button.